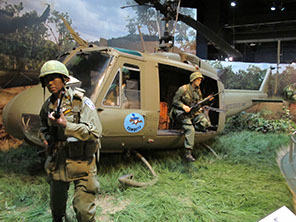 The ASHF needs your help in raising $4,600 to create a memorial stone at the Airborne and Special Operations Museum (ASOM) at Fort Bragg, North Carolina. 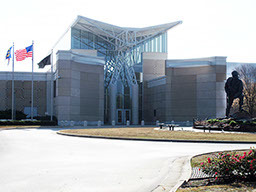 The site is the premier venue for exhibiting the history of America’s elite units and features a moving display of free-standing memorial stones at the entrance to the museum. But the Alamo Scouts are noticeably absent. 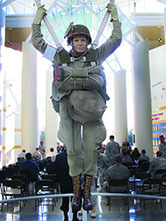 The ASHF welcomes donations VIA all major credit cards or through PayPal. All donations/contributions are tax-deductible. Receipts for donations will be sent for all individual donations in excess of $250. Receipts will be provided on request for donations less than $250. 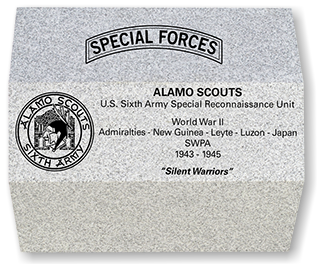 The Alamo Scouts Historical Foundation (ASHF) is a non-profit 501(c)(3) Historical and Educational Society dedicated to perpetuating the memory of the Alamo Scouts of the U.S. Sixth Army Special Reconnaissance Unit who served in the South Pacific during World War II. 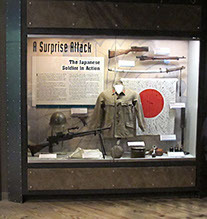 E) Establishing memorial plaques and historical displays commemorating the Alamo Scouts at historical and military institutions. 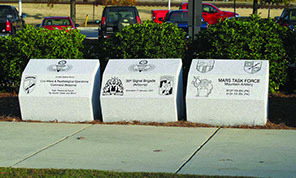 A few Memorial Stones and photos taken at the Airborne & Special Operations Museum.